Don't you love decorating with seasonal quilts? I came across more Fall quilts that I wanted to share. Living in Florida, we bring the warm rich colors indoors. This is how the table is set for Fall. Happy Quilting! When fall is in the air, don't you want to dig out your fall quilts? A few days ago Mary Kate posted on Inside Quilters Newsletter her thoughts about losing her quilting mojo. The article gave me pause to think. There have been many times when I've had such a burning desire to quilt, that everything else goes by the wayside. But of late, that has happened less and less. One reason may be because I don't have quilting buddies available anymore. Time, families, and work pushed quilting to the bottom of the list. It was always fun to meet up with friends, find a pattern, and sew all day. But just yesterday I was going through some old magazines, sorting them as keepers and give aways. There was an "aha!" moment as I leafed through a variety of magazines. I think I've lost my mojo mostly because quilting times have changed. More and more quilters have lent themselves to modern quilting. Modern fabric, modern patterns, modern quilts. So I find that what used to give me inspiration, now dampens my enthusiasm. I'm not saying I don't like the newer brighter fabric colors. It's just that I have always been a traditional quilter, and I'm not finding much encouragement anymore. In our area, quilt shops are gearing up with more and more modern fabrics. 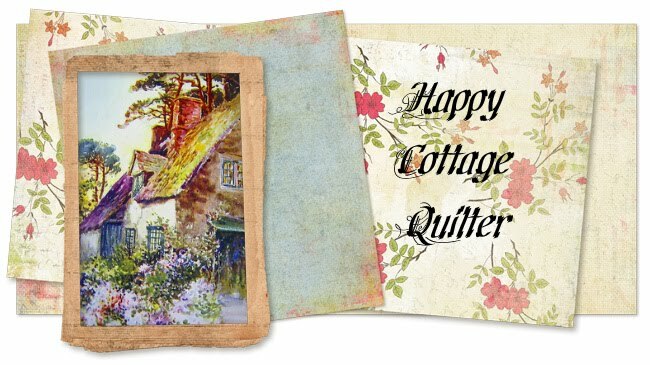 Quilting magazines feature lots of modern patterns, applique and paper piecing. All of which I don't do. Another thing I've noticed is the emphasis on long arm machine quilting. I don't know about you, but I don't own a long arm, and I don't even know anybody who does. So are the magazines pushing quilters to buy a long arm? There certainly are lots of helpful hints for longarmers. Believe me, I'm not downplaying modern quilting. It's just not what I enjoy doing. I like my fabric to coordinate, my patterns to have symmetry, and my points to match. I'm just sharing my thoughts on losing my quilting mojo. We each have to enjoy what we are creating. I do wish each of you Happy Quilting. No matter which kind you enjoy doing. I've always thought that was such a fun saying. But today I'm all about this black and white quilt. I love the shot of red, and the border print has red in it too. I've been able to do the piecing on my old standby Kenmore. But yesterday my sweet Bernina girl was ready. So the quilting will proceed! Quilting took a dramatic turn for me when I first met this amazing lady. I never actually met Eleanor Burns, but her influence as the Queen of Quilting had such a profound affect on me as I learned her method of Quilt in a Day. She made quilting fun and easy. Recently Eleanor had heart surgery. So many of us in the quilting world are wishing Eleanor a speedy and complete recovery. You can read a little more on Quilt Shop Gal's blog post. Darlene has posted a mailing address if you would like to send a card. Wishing you all the best Lady EL. Rotary cutters. There are so many varieties available now. There are big ones, and small ones. There are cutters with straight blades and some with wavy blades. They come in an ergonomic design, or just plain ;-) The list could probably boggle the mind. So, what is your weapon of choice? She was my first rotary and I still love to use her when I am cutting fabric. I've got one with pretty floral decorations, but I didn't get a picture. I also find that my blades don't dull as easily when I use her sister mat. 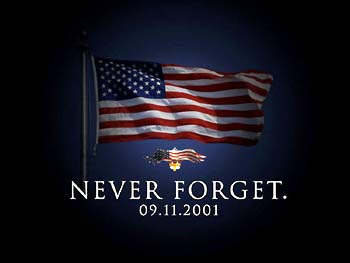 as our country woke from shore to shore. as we beheld their indescribable fate. and stepped into a new centuries page. America! God bless you we yelled! let us hold that in our hearts forever. Whenever a new product is introduced to the quilting world, I sometimes wonder if it is the panacea that so many people claim it to be. 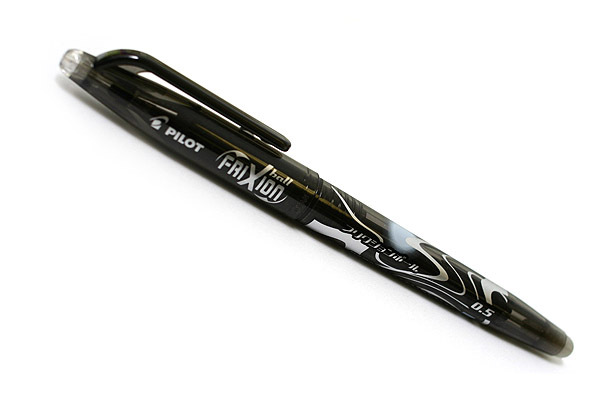 Case in point - Frixion Pens. If you think you might want to try using these pens on your quilting fabric, I would suggest that you first read this blog post by Jenny Lyon. She did her own research and gave a very good write up (including info from the manufacturer) concerning using the Frixion Pens to mark fabric for quilting. After all, we do want to have Happy Quilting! Well I don't know what happened to Monday, but here it is Tuesday already. Our Labor Day holiday was quiet, so the day whisked by quickly. As I was working on my black and white quilt the tension on my bobbin all of a sudden went crazy! I opened the bobbin case, and out pops a broken spring. So my little Bernina lady is going to have to get a tune up. In the meantime, I dragged out my old faithful Kenmore. It's funny, after sewing on my Bernina for 12 years this machine seems so foreign, even though I sewed on it forever. But I'm glad that I have her for a back up. Thank you to everyone who visited and entered my Summer in the Country giveaway. I did notify the winner, Cecilia, and come to find out she lives one and half hours from me :-) Small world! Have a great week. And Happy Quilting! Welcome to the final day of the Summer in the Country Blog Hop! I hope you have visited the other Ambassadors and enjoyed their beautiful creations. We are so happy to represent Island Batik. The other Ambassadors have shared their designs and patterns, plus recipes to add to your kitchen. Today I am sharing from the Spring/Summer 2015 line, Wishing Well. The fabric is called Fishing Hole Pond, and I have to say I LOVE it! When my fabric arrived each fabric pattern reflected a cool, calming effect. I wanted to sit by a river and listen to the wild animals that roam the mountains of Colorado. I knew right away which pattern I wanted to make. It can be called Rail and Square, but I call it Rails on Point. I don't live on a river or by a lake, but draping the quilt along the porch railing reflected a summer time feel for me. I wanted to use the sunflower fabric so I decided to make a zippered pouch. I've always been a little leery when it comes to zippers, but Joan Doan's tutorial was easy to follow. You can find the tutorial for the zippered pouch on the Missouri Star Quilt Company. Just click HERE for Jenny Doan's easy instructions. For a summertime recipe, you cannot beat the Pioneer Woman to share her cooking talents. We made this Mexican Macaroni Salad. Delicious! Perfect for the Labor Day weekend bar-b-ques. And finally the giveaways. Island Batik is hosting a giveaway. If you have not already signed up you still have time. Two batik bundles are in the offering. Just click HERE. And as a thank you for hanging in here and reading I will be giving away a summer fat quarter bundle of Island Batik fabrics as well. Isn't that a great way to end the summer? Just leave a comment on this post, telling me how you spent your summer and I will draw a winner on Monday, the official end of summer. The last time I worked with black and white fabric, I added yellow as the highlight. This time I decided to add a pop of red. More blocks to make, but I think I like it! !